Magnet Healing is quietly finding its place in the world of complimentary medicine again when it comes to treating lower back pain and other musculoskeletal problems such as rheumatism and arthritis. Often, when the little golden magnets are placed on the affected area, and the healing energy is released , relief can be obtained within minutes. 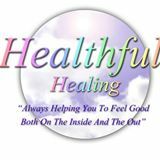 If this cold and damp weather is bringing out the aches and pains in you, why not book a healing session to see if the magnets can bring about a change for you. You may just be surprised. How Does Magnet Healing Work?